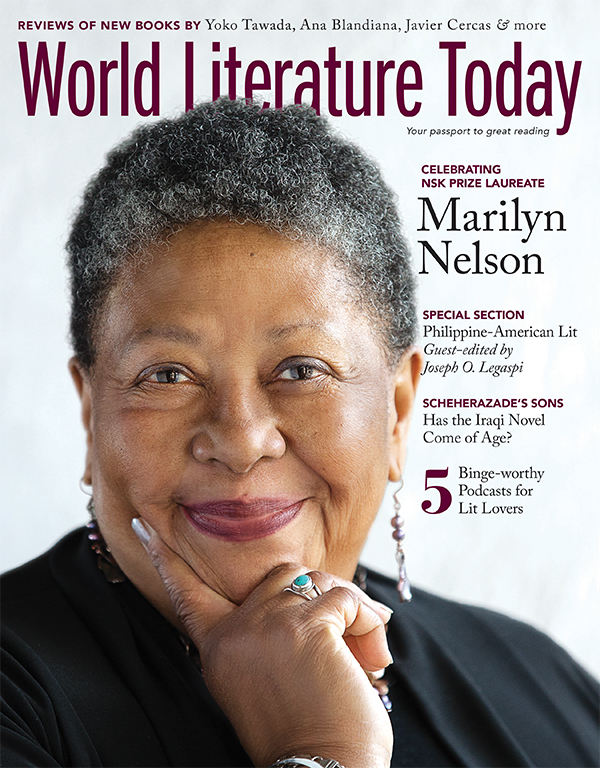 Marilyn Nelson (b. 1946, Cleveland, Ohio) is the author or translator of some twenty poetry books, among them a biography-in-verse, Carver: A Life in Poems, a memoir-in-verse, How I Discovered Poetry, and a novel-in-verse, American Ace. Her The Fields of Praise: New and Selected Poems won the 1998 Poets’ Prize; Carver: A Life in Poems won the 2001 Boston Globe/Horn Book Award and the Flora Stieglitz Straus Award; Fortune’s Bones was a Coretta Scott King Honor Book and won the Lion and the Unicorn Award for Excellence in North American Poetry; and My Seneca Village won the Los Angeles Times Book Award for Young Adult Literature. Nelson’s honors include two NEA creative writing fellowships, the 1990 Connecticut Arts Award, a Fulbright Teaching Fellowship, a fellowship from the J. S. Guggenheim Memorial Foundation, the Frost Medal, and the NCTE Award for Excellence in Poetry for Children. She was Poet Laureate of the State of Connecticut from 2001 to 2006 and is currently Poet-in-Residence at Saint John the Divine’s American Poets Corner. Lubaya’s Quiet Roar, a picture book, is forthcoming from Dial Books.